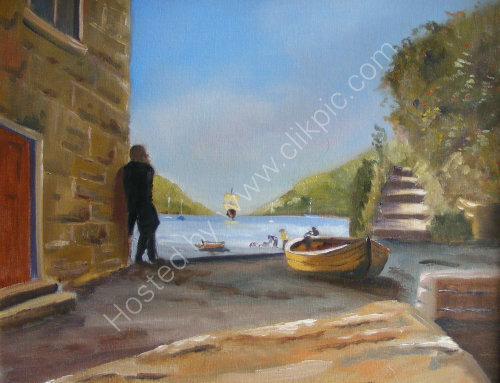 I saw this tiny photo in a magazine and decided to adapt it into a painting adding the boat in the distance heading out to sea, why is he not on it?. I really liked the way the light was playing on the edge of the foreground boat and the steps, where do they go? 20 X 16 oil on canvas board £85 framed.